We’re proud to support the US Marine Corps Toys for Tots Foundation by serving as a donation center this holiday season. Feel free to drop by with a new, unwrapped, toy next time you’re in the area. Not sure the best time to drop by with your donation? 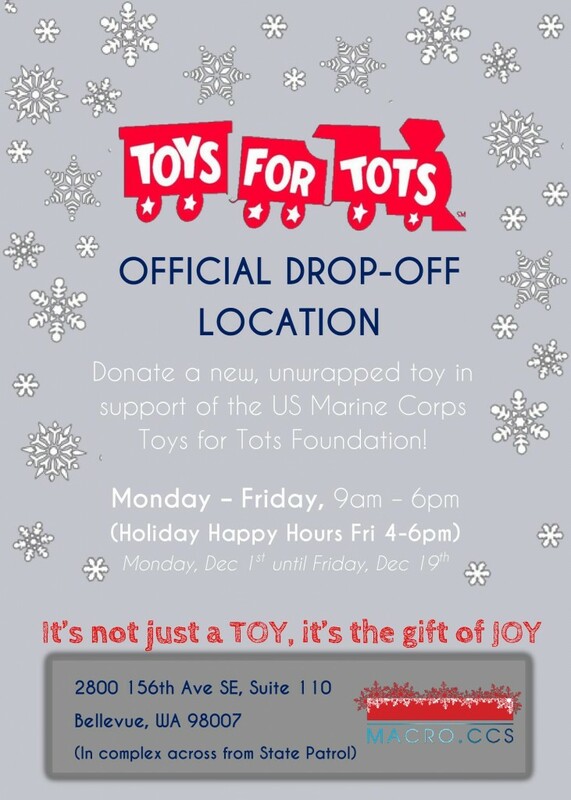 We’ll be doing special Toys for Tots holiday happy hours each Friday in December from 4-6pm, if you’d like to attend click here to RSVP.